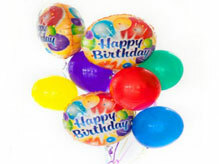 Do something unexpected with gifts n flowers and surprise that special someone with a Happy Birthday balloon bouquet today! 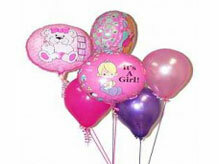 Baby Girl Balloons Mix - Welcome the new arrival baby girl with 3 Its a girl Mylar balloons with 3 latex balloons bouquet to Lebanon. 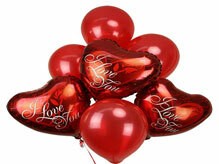 Send a gift that says I Love you for your romantic occasion with this gorgeous bouquet of bright red colored balloons consisting of 3 Mylar and 4 latex balloons tied together by giftsnflowerslebanon.com.